Little Nell chooses the bumpiest, littlest pumpkin in the patch to carve a jack-o'-lantern of her very own in this sweet Halloween companion to top-seller THE BIGGEST, BEST SNOWMAN. All summer, Little Nell has tended the garden with BIG Mama, BIG Sarah, and BIG Lizzie, and finally the pumpkins are ready for Halloween. 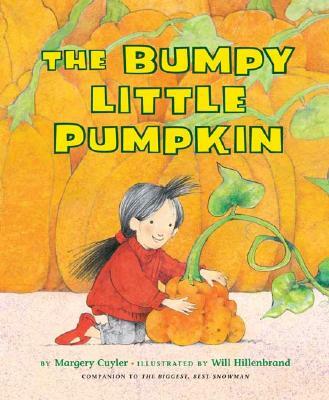 Her sisters choose smooth, round pumpkins to carve, but Little Nell likes a bumpy little one best. Sarah and Lizzie jeer, "It's bumpy and little and ugly!" But Little Nell perseveres. With help from her animal friends, she scoops and carves it into a wonderful jack-o'-lantern! This sweet tale shows that jack-o'-lanterns, like people, come in all shapes and sizes, and that BIG ideas and a BIG heart resound in even the smallest of us.